adopets is here to simplify pet adoption for both users and shelters. The days of endless phone calls, emails, paperwork and outdated adoption listings are long gone. 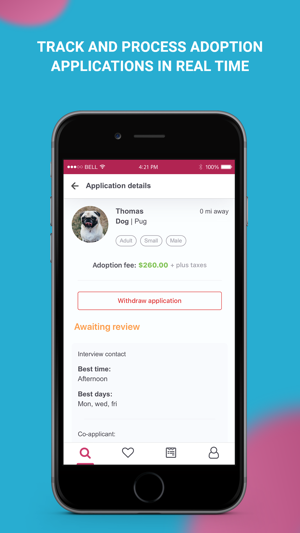 We created the fastest route to pet adoption through a simple to use AI-powered interface. 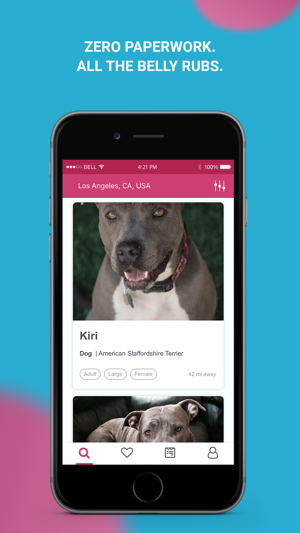 Find adoptable pets and complete the entire adoption process right from your device! 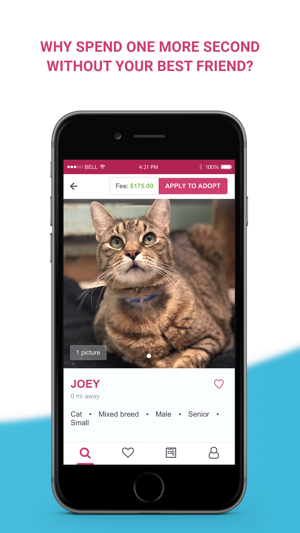 Adopt a Boxer, Poodle, Pug, Beagle, Shepherd, Mutt, Pitbull, Spaniel, Chihuahua, Labrador, Bulldog or Terrier, or a Persian, Shorthair, Siamese, Ragdoll or Himalayan feline -in just minutes with adopets. You'll have access to thousands of animals, right now. 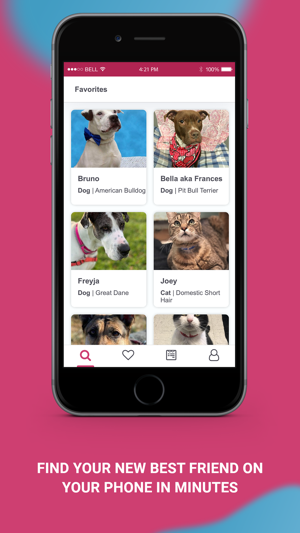 Use the app to set search criteria, build lists of your favorite pets, and even share them on social channels so your friends can weigh in. For pet people. By pet people. Together we can save more lives! Going through the steps of pet adoption is now easier than ever! As adopets, we are always working to make the app faster and more stable to improve the adoption experience. If you are enjoying the app, please consider leaving a review or rating! The app makes looking through available pets so easy and fun, I end up doing it just because! But when you ARE ready to make the big move and adopt - they've got you covered there, too, making the process way less of a pain and way easier to help animals in need! Love. It's no secret - the pet adoption process can be a nightmare. All you want is to find your furry friend and give them their forever home, and I have never felt more able to do so than with Adopets! Simple interface, easy to use, and chock full of animals ready to be loved. Great job, y'all. If you are adopting a pet, this is the app for you! This app is unlike any other I've used. It helped me find a dog to adopt, and let me track the application process from start to finish. I highly recommend this app, whether you are looking for a dog, cat, lizard, pig, horse or any other adoptable animal!